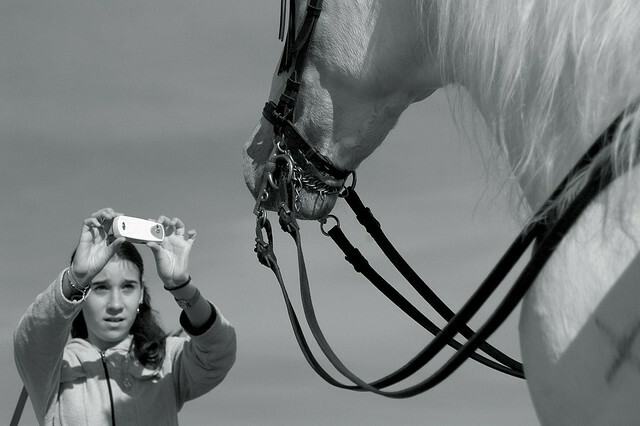 Girl Photographing a Horse, Retamar, Almería, Spain, January 2004 | Flickr - Photo Sharing! Kent Johnson and emilyc59901 added this photo to their favorites. The 'new' way of using a camera has created some interesting moments... The reins make a wonderful graphic. How does this represent the democratic image Dr John? By showing a new breed of photographer using new technologies to create new photographic constituencies, wouldn't you agree? Hi Dr John Im not sure what you mean - perhaps you could expand? I'm enjoying our conversation and your photographs. Keep posting! Hi, I'm an admin for a group called Photographers and her cameras, and we'd love to have your photo added to the group.